From over-training, to general stress & anxiety, muscle pain & joint pain are increasingly common complaints. Pain can be a direct cause of depression and anxiety, but equally mental health issues including stress, can be the cause of the pain. Whatever the source, physical pain and mental health seem to have a direct association. Whether you want to improve your recovery from MMA sessions or just be free of pain, hopefully this blog post will help. We look at the causes of muscle tension and how you can tackle each one. Often a symptom of an underlying issue or just a poor diet, inflammation can cause havoc in your body and a lot of pain. *The impact of dairy on health is a controversial one, but for me giving up dairy literally changed my life in terms of joint pain, and IBS. Stress causes cortisol levels to rise in the body which can cause muscle tension, pain and tiredness. **Phosphatidylserine reduces cortisol and improves focus. Another cause of pain can be muscle tension. This can be caused by medication, sitting down all day at a desk job or by just being stressed out in general.Magnesium supplementation is the most direct way to treat muscle-tension. A more controversial idea, is that acidity can cause muscle pain, as well as health problems. If you have gut problems, leaky gut or gut inflammation – you are likely to get ‘whole body’ systemic inflammation. See our gut health blog post for more information. I still get really bad joint pain – whenever anything triggers my allergies. Not a huge amount you can do about this – except for taking an anti-histamine. I would recommend avoiding the use of drugs like ibuprofen, as they can damage the stomach lining and the kidneys. One final thing to mention for pain is sauna use. There is a growing amount of research on the health benefits, and pain fighting abilities from saunas. More info here. 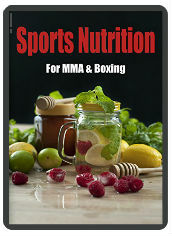 This entry was posted in Fitness, MMA, Nutrition, Uncategorized and tagged anxiety, chronic pain, depression, diet, fibromyalgia, herbs, inflammation, joint pain, mental health, mma, nutrition, pain, sauna, stress. Bookmark the permalink.